VICTORIA—A new Google Earth file, developed by Sierra Club BC, shows old-growth coastal rainforest has reached a state of ecological emergency across vast parts of Vancouver Island and B.C.’s South Coast. 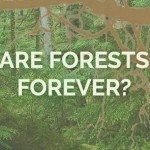 The Google Earth file, which can be downloaded from the Sierra Club website and studied with free Google Earth software, shows how little ancient forest is left as a result of decades of industrial logging. In February, First Nations and the B.C. government announced the fulfilment of the Great Bear Rainforest Agreements including a set of measures to ensure healthy rainforest and healthy communities in that region. Wieting, who was heavily involved in the Great Bear Rainforest negotiations, says that the lessons learned through that process should be applied to seek solutions along the southern part of the coast with similar rainforest ecosystems and similar threats to address the massive conservation gap, and in a manner that strengthens and respects First Nations rights and interests. 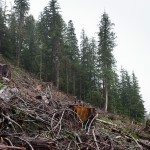 Sierra Club BC is calling for immediate action by the provincial government to protect and restore endangered coastal rainforest ecosystems, before intensifying climate impacts like drought, wildfires and storms coupled with destructive logging practices further exacerbate pressure on ecosystems. Remaining largely intact rainforest areas, such as the Central Walbran and the Klaskish River/East Creek need immediate conservation steps to save habitat for endangered species and restore second-growth forest to allow for connectivity. To download the Sierra Club BC Google Earth file, you will first need to download and install the free version of Google Earth. Guidance for interpreting the file is attached. For more detailed information about the state of B.C.’s old-growth coastal rainforest, read our backgrounder. Sierra Club BC’s Google Earth Tool Shows Vancouver Island Old-growth in State... Thank you to Mark Worthing!